The sheer quantity of Pierpont Morgan's collections posed considerable logistical and organizational problems. As a general practice, Morgan kept his art collections in England. Most of these objects had been bought abroad, and, until 1909, there was a daunting tax of twenty percent on art and antiques imported into the United States. The London town house at 13 Princes Gate that Morgan inherited from his father was enlarged and became a showcase for many of his finest paintings, sculpture, and decorative arts. 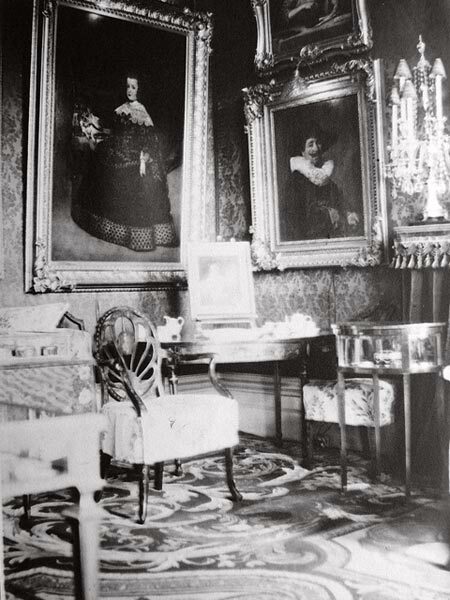 Some of the collections were also kept at Dover House (Morgan's English country house), and a substantial number of objects were on loan to the South Kensington (later to become the Victoria and Albert) Museum. Initially, Morgan's books and manuscripts were divided between his residences in England and his Madison Avenue brownstone in New York. Still more books were kept in storage at the Lenox Library on Fifth Avenue and 70th Street. By 1900 Morgan began formulating plans to build a repository for them in New York City. 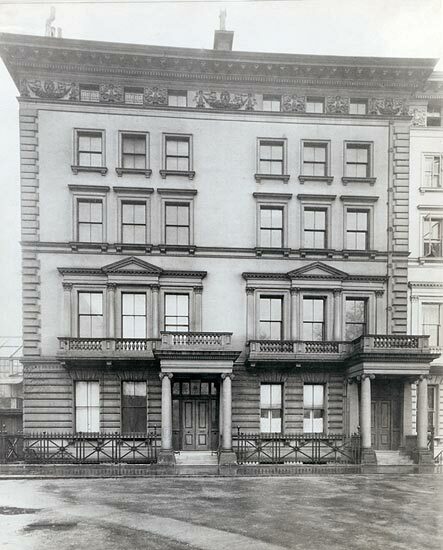 He decided to build a library next to his brownstone at the corner of Madison Avenue and 36th Street. Morgan wished to bring to America as many of the finest objects of European civilization as he could in order to dramatize the achievement of that civilization. From the beginning, Pierpont Morgan conceived of his library as something more than a repository of rare materials: it would be a structure that proclaimed the nature and importance of its contents, majestic in design yet intimate in scale. Charles F. McKim (1847–1909) was retained as architect and oversaw all phases of exterior and interior design. His firm, McKim, Mead & White, was the acknowledged leader of the "American Renaissance" style, which adapted the architecture and ornament of the Italian Renaissance. By 1900, New York was graced with several of their buildings, including the Villard Houses (1882), the Century Association (1889), and Low Library of Columbia University (1893). But "Mr. Morgan's library" completed a few years before McKim's death, is considered by many to be his masterpiece. The building envisioned by McKim was to embody the Renaissance ideal of the unity of all the arts, integrating architecture, sculpture, and painting, and utilizing the finest materials and craftsmanship.